Moving back to civilian life after a long stint in the military is often a stressful experience. In the military, you get used to a certain way of life which makes adjusting to civilian life tough – especially if you are doing it after a long stint in the military. Another dilemma for veterans is finding a career that matches their skill set. Nonetheless, there are jobs that can be a right fit for veterans if they get the proper training. 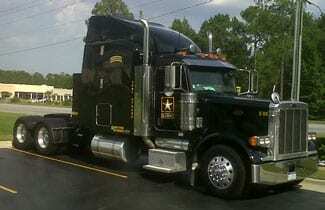 A great option for veterans is the trucking industry. The industry is in the midst of a really good phase and jobs are quite easily available. If you want to be part of this growing industry, you will first have to find a truck driving school for veterans to acquire the necessary skill set. What’s more, your disciplined, get-it done approach will be a great asset that will help you land a job and excel as a truck driver in the long-run. Trucks drivers are a very important part of our country. If you don’t already know, over 80% of all the communities in the country rely on this industry to deliver their goods across states. Truck drivers take care of this tedious task of delivering goods that we need on time – from food to footwear and everything in between. This is a vital industry that ensures that the country doesn’t stop moving. By taking truck driver training for veterans, you will be a part of the industry that does such an important job. You will have a job that is challenging, fulfilling, and rewarding, all at the same time. If you are a military veteran and are searching for a job outside of the military, this is one of the best opportunities for you to find one that is going to keep you happy and will supplement your income. You will be able to fulfill your financial as well as aspirational needs with this job. Paid CDL training for veterans is intended to familiarize individuals with the trucking industry and providing training about the basics of truck driving. It prepares veterans for a different career; one which can help them transition back to civilian life much more easily. Look for a truck driving school for veterans that has a military-friendly culture and works towards making you learn not just driving but also how you can unload the stress that is usually associated with such a job.